In one of his most strongly worded speeches to youth in his entire pontificate, Pope Francis has highlighted issues such as alcohol abuse, prostitution, indigenous peoples, abortion and human trafficking as “dividing and mistreating” human dignity. The speech was given at the conclusion of the Via Crucis (Way of the Cross) at Campo Santa Maria la Antigua, Panama City. Via Crucis at World Youth Day 2019 Panama. Image: Diocese of Parramatta. The Via Crucis ended the day for the Diocese of Parramatta pilgrims who had earlier had their final English Mass and Catechesis. The Catechesis session involved small group activities followed by a Mass celebrated by Auxiliary Bishop of Kottayam, Bishop Jose Pandarasseril of the Syro-Malabar Church. He called upon pilgrims to know that “God has a plan and mission, be confident in Jesus’ heart, the church has confidence in you, find your unique call and trust in Mary his loving mother who responded to her unique call”. Pilgrims joined over 100,000 pilgrims from across the world for the Way of the Cross. The Way of the Cross is composed of fourteen stations, each one reflected on unique themes represented by Central and South American countries that were featured at each station. 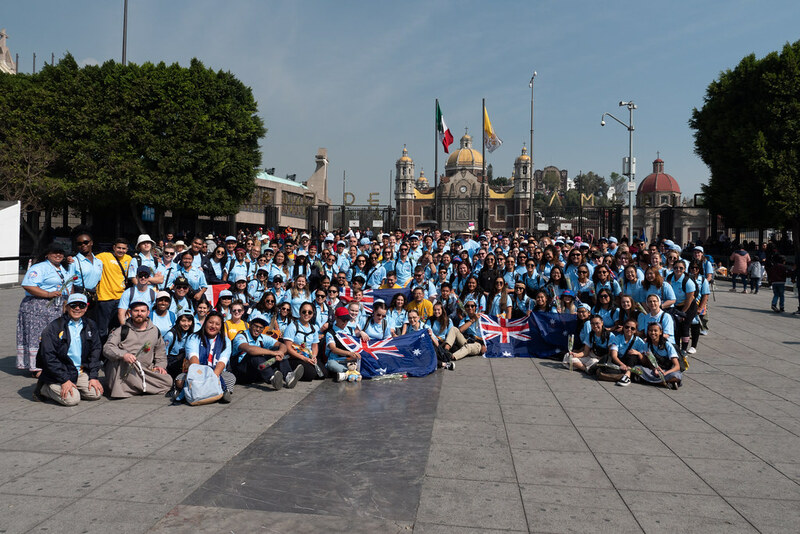 A pilgrim from the Diocese of Parramatta during Via Crucis at World Youth Day 2019 Panama. Image: Diocese of Parramatta. Pope Francis during Via Crucis at World Youth Day 2019 Panama. Image: Diocese of Parramatta. Following the stations, pilgrims made their way back to their hotels. World Youth day activities will draw to a climax and close as pilgrims walk tomorrow to the final venue for the much-anticipated Saturday evening Vigil, sleep-out and Mass which concludes the World Youth Day week in Panama.